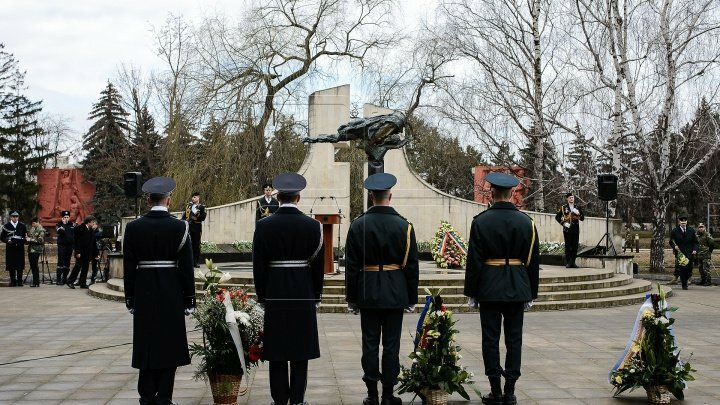 Government has approved the plan of events dedicating to the Day of Commemoration of the Fallen in the Dniester War, marked annually on 2 March. The document includes a series of actions that will be organized both in Chisinau municipality and in the country's localities. In the Capital, the ceremony will commence with the Memorial Day, flowers and a commemorative rally at the Eternity Memorial Complex. At the same time, meetings with the veterans of the Dniester War will be organized in the educational institutions in the country and in the military units. Heroes fallen on the battlefield will be commemorated by organizing exhibitions, broadcasting thematic TV and radio shows, and conducting sports competitions. Additionally, commemorative plaques will be installed in several localities, and some streets will be renamed to the memory of the fallen heroes. The Action Plan also provides annual material support for families of war crimes victims and persons with disabilities. They will also receive the necessary health care. 2019 marks 27 years since the beginning of the fighting for defending the integrity and independence of the Republic of Moldova. In the armed conflict on the Nistru, about 60 thousand soldiers participated, almost 30 thousand combatants involved in the fighting.